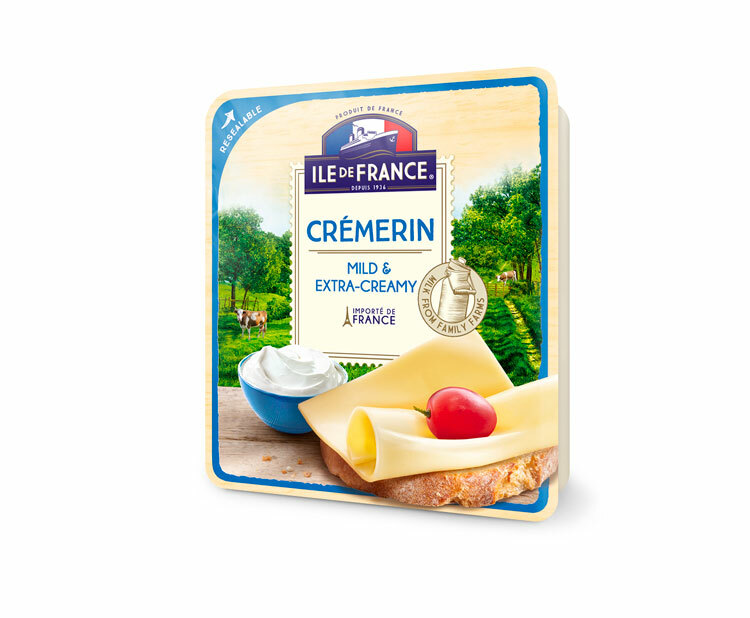 Thanks to milk enriched with cream, the Ile de France Crémerin slices have an intense creamy flavor. Through a delicate ripening process all the savors are preserved. Their soft and melting texture will perfectly match your desire of lightness. Creamy flavor and tender texture. Pasteurized cow’s milk, culture, salt, microbial rennet. May contain traces of ewe and goat's milk, hazelnuts, cashewnuts and egg white extract. Packed in a protective atmosphere.